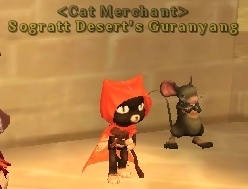 Hello, this is Guranyang the cat merchant. You can easily recognize him as most of the npc are human, and i believe you can see him in almost map every which have dungeon. That is because this npc will trade you blue grade equipment . Guranyang at every map is specific, you will only see list of item from the current map dungeon. In the picture above, you can see the list of item available for exchange. You will need statue for exchange. You can get statue from doing dungeon quest. So, i believe you will only get 1 type of statue per dungeon. Plus ,statues are bonded to your character and you cant destroy it. If you want to get rid of them, exchange them first and destroy the equipment. Like i said before , Guranyang require specific statue, you can only exchange Payon Statue with Payon Guranyang. There are only 3 type of statue, for top, bottom and weapon. I believe there are no hat, glove and shoes statue. Above, is one of the item can be exchanged from sograt guranyang. 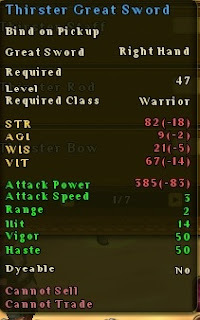 note that you will need sograt weapon statue to trade him this. 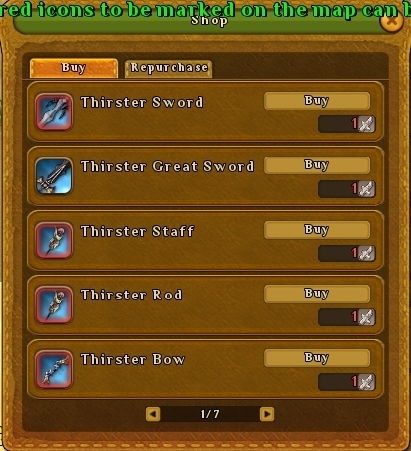 The sword is bind on pickup or in this case bind on exchange, cant be sold to npc or other player. Only can be destroyed. You cant even dissemble them. Finally they does not have rune holes. Conclusion, make sure you do your dungeon quest. 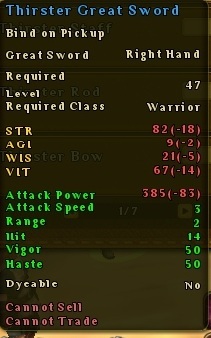 Guranyang equipments are much better than green, but slightly overpowered by dungeon blue grade. 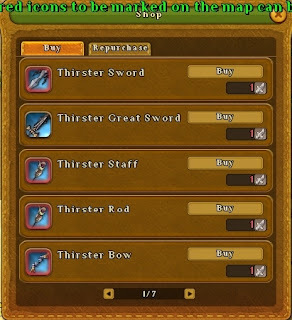 But at least they will help you in leveling/dungeon while you are hunting for better equips.